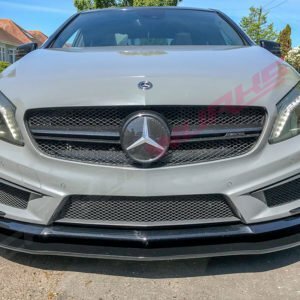 The front of the A class could look a little subtle for some people, and for those people we are now offering our gloss black front spoiler extension to give the A class the stance it’s always been missing. 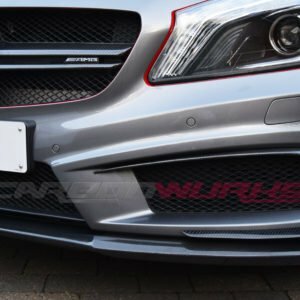 Another new product to the Carbonwurks lineup – Introducing the CS carbon front spoiler. 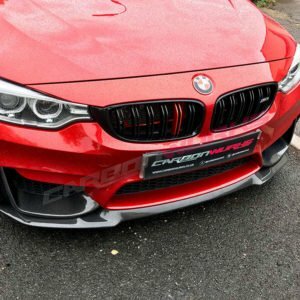 This front spoiler is based off the genuine BMW limited edition CS edition car. 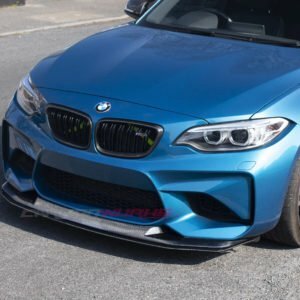 A little more track inspired than the normal M Performance front spoiler and a rare part with only 3,000 of these CS cars being put into production by BMW for sale worldwide. We don’t like to limit to number and so is now available for all to retrofit. 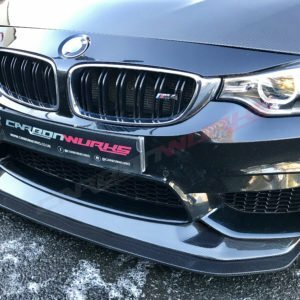 Growing our range of carbon fibre parts we are pleased to offer the new DTM front spoiler and aprons for the M3 and M4. 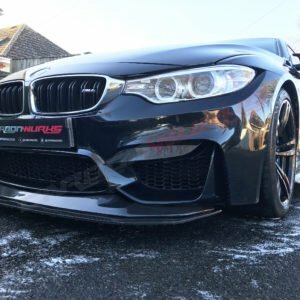 The DTM front spoiler is a 3 piece kit that simply bolts onto the front bumper. 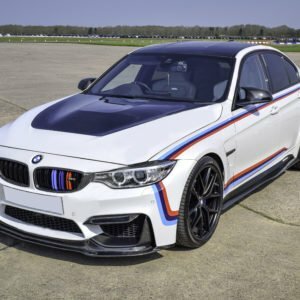 Our DTM range is designed to echo the design of the infamous German racing cars and bring the race car to the road. 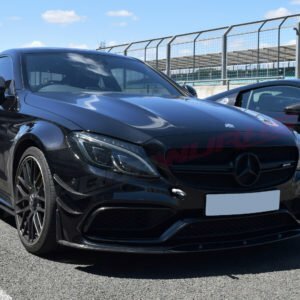 The new W205 C63 is a superb looking car however from a distance with the softer curves than the previous C63 it can look a little tame. 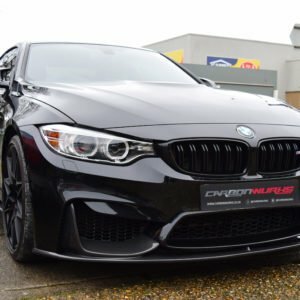 We aim to change that with our new range of C63 Carbon. 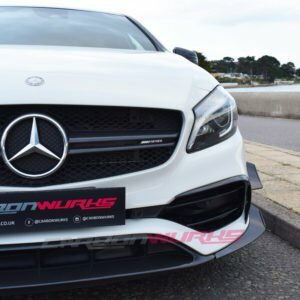 The Carbonwurks front spoiler extension adds a great deal of aggression to the front end with this 3 piece kit giving that extra road presence it may be lacking. This one has been a long time coming. It’s taken over 12 months from first inception through prototyping to finally production. 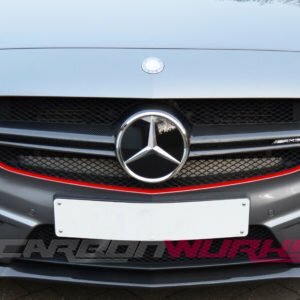 We are however very pleased to be able to offer our Black Series facelift A45 carbon package. 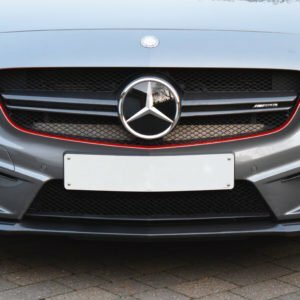 The front spoiler on the A class is one of the most prominent pieces on the car. 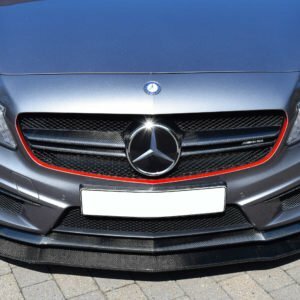 It’s a large part that stares you in the face, one thing could improve it, and that is Carbon Fibre. 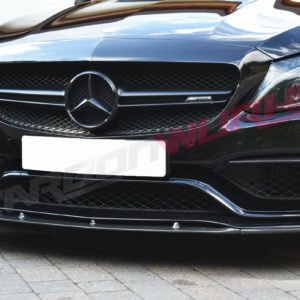 The Carbonwurks Carbon Fibre front spoiler is a complete replacement for the AMG front spoiler which fits all A classes with the removable front spoiler. 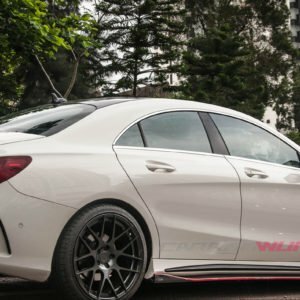 A fantastic part that really makes a big impact on the look of any A class. 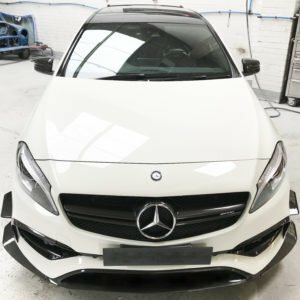 As a factory option on the A45 AMG the Aero pack can be specced. This gives a great deal more aggression to the front end but however still lacks the motorsport/exotic look. 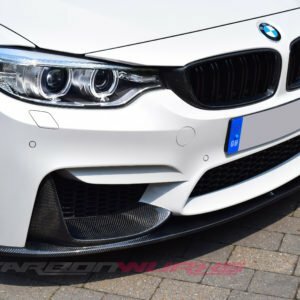 The CarbonWurks Carbon Fibre Canards and Intake Spoilers are a direct replacement giving a slightly more aggressive look over the OEM canards and eye catching weave to go match. 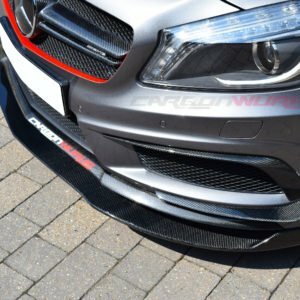 Another new product to the Carbonwurks lineup – Introducing the DTM carbon fibre double front spoiler. 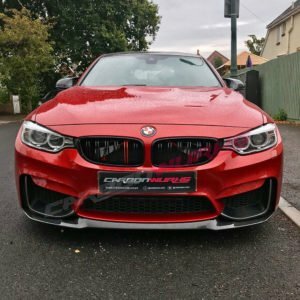 This front spoiler is designed to give that race car look taking homage from the German touring cars being the pinnacle of production car Motorsport. 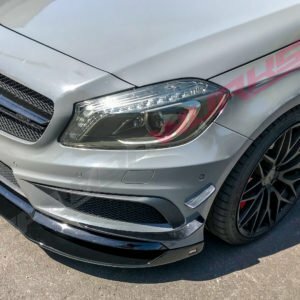 Not only is this front spoiler purposeful in looks it is also adjustable to help handling characteristics to fine tune the front end of the car. 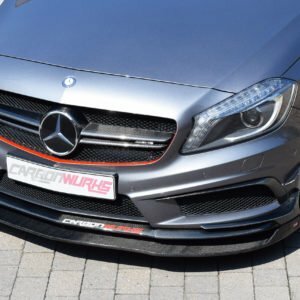 Another new product to the Carbonwurks lineup – Introducing the GTS carbon double front spoiler. 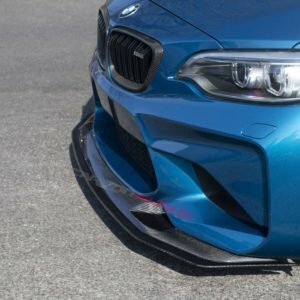 This front spoiler is based off the genuine BMW limited edition GTS edition car. 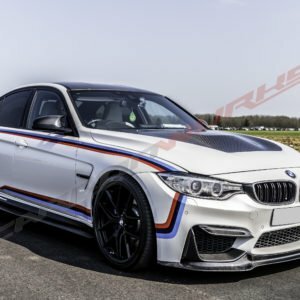 We don’t like to limit to numbers and so is now available for all to retrofit..The GTS was designed to be an all out track car with no compromises, with this spoiler new levels of aggression and downforce can be achieved.